Our experts spent around 25 hours building and testing pergolas kits (with roof). 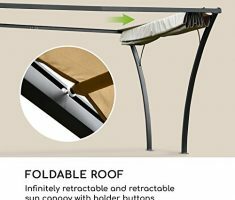 Eventually, we found the best retractable roof pergola. They were selected in terms of quality, community rating and easy maintenance. Any one of these will make a great addition to your garden. 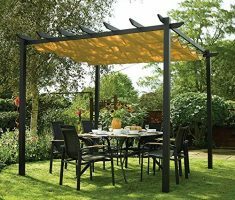 Rowlinson are one of our favourite brands when it comes to garden products like gazebos and pergola kits (with roof) like this one. 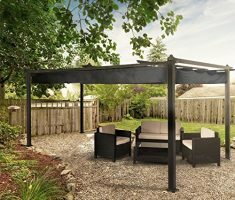 With over 90 years of manufacturing knowledge and experience, Rowlinson know what they’re doing with a pergola. 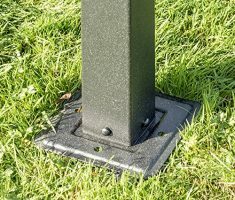 Our team loved the free-standing element which allows you to locate it anywhere in your garden. 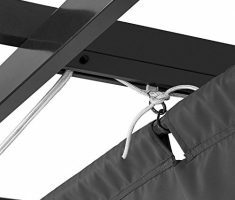 Also, the canopy has drainage holes to prevent the build up of water. We really liked this one, that’s why it’s our best overall choice. It’s great value, widely rated by the community and we assembled it in 4 hours (with a team of 2 people). 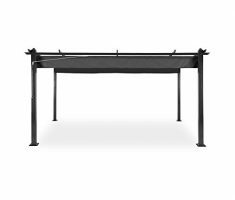 Another big player in garden furniture, Jarder have this great looking retractable roof pergola which we assembled in record time. 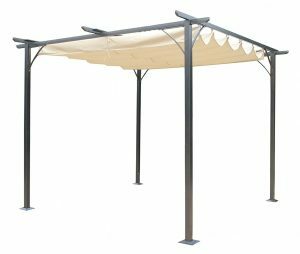 Also, when we say it’s a pergola, we mean it’s a gazebo with pergola features. Either way, this is great value and suitable for outdoor events, weddings, parties and dining. If you’re on a budget this is a fantastic option. 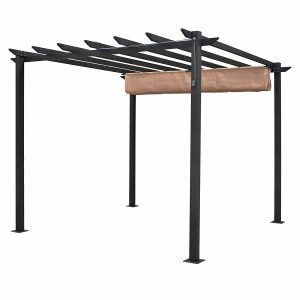 When assembled this feels like a high quality, extremely sturdy pergola – despite the low cost! That’s exactly why it’s our great value choice. Also, packaging and presentation was excellent – we cannot fault it. Blumfeldt’s tagline is ‘feel good outside’ and we can see why. The material, the sturdy feel, the high-quality look makes this the premium choice on our list. 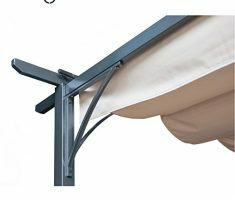 This completes and enhances any outdoor seating area. Turn your terrace into a temple with the Pantheon. Let’s explore this beauty in detail. 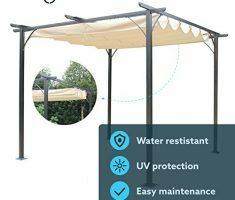 This pergola kit with roof is a smart investment, it’s going to last 5 – 10 years. 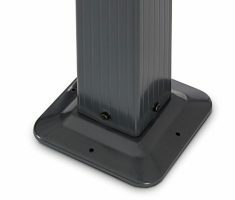 One of our experts owns one of these (at home) and has it screwed down on a wooden deck. It is 2 years old and still going strong. We’re very happy to recommend this and guarantee it’s going to last you years to come. 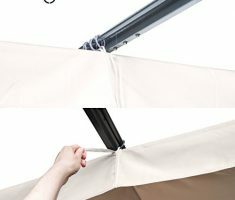 Keep the cover compressed in high winds and store it safely during the winter. 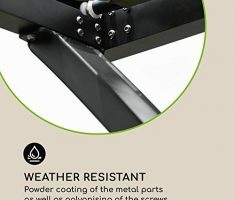 This will give your pergola roof a few more years. 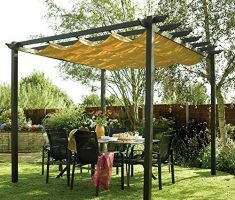 As elegant and high quality as the name suggests,the Palazzo Canopy Pergola is one of our favourites in the range. Compared with our best overall pick, the Palazzo uses arguably superior materials. This is why we’ve included it as our bonus pergola. It’s beautiful. Arguably superior brand vs the other picks on this list. 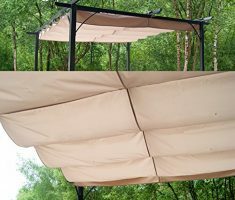 We also loved the folding canopy which gives full control over shade in the sun. 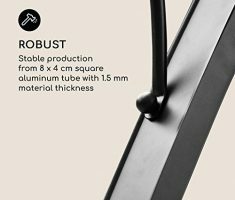 Blumfeldt is a good investment of money, it will last 5 – 10 years guaranteed. If you have budget, we recommend this one. 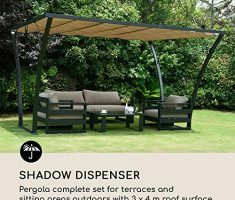 In a nutshell, it’s a garden feature which gives a shaded sitting area or passageway. This involves vertical pillars with cross-beams and an open lattice. 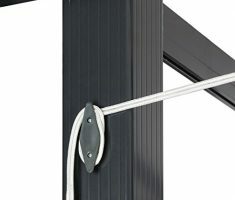 A latin term, pergula means a projecting eave. 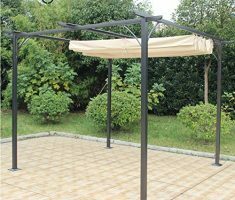 The pergola is a type of gazebo. 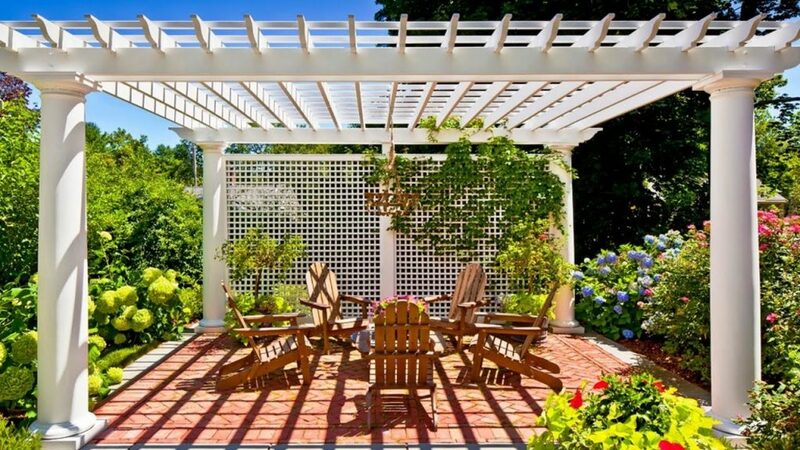 But vs your traditional gazebo, it usually acts as a cover for your terrace or a link between passageways. 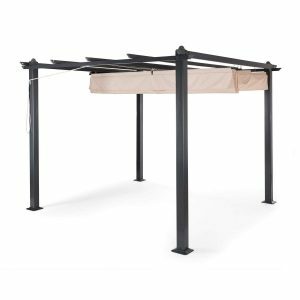 The pergolas on this list have been chosen because our team found them relatively easy to build. 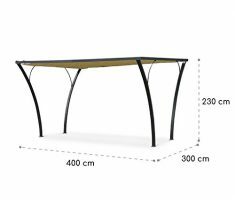 The pergola kits themselves come with fantastic, easy to follow instructions and all of the necessary fixtures and fittings. 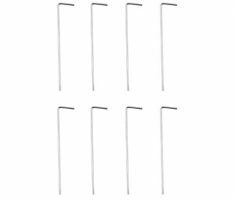 What we recommend you bring to the table is a minimum of 2 people and the proper tools for assembly. If you’re not choosing a kit from the list above. Not to worry. 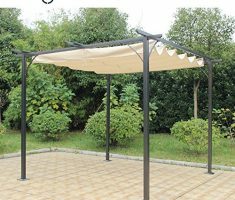 It is possible for you to build a pergola with a roof from scratch. See below. You’re going to need treated softwood for this. 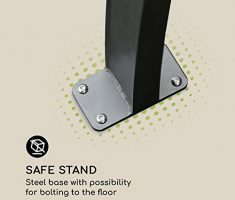 Also, please make sure to use a wood preservative on the end of the timber and feet of the posts 24 hours before building. If you have any questions, ask us in the comments below! 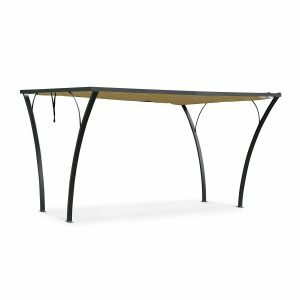 Jamie is the Founder and Editor of the Windproof Gazebos. 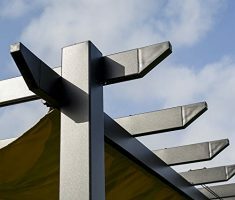 He's had a lifelong love affair with outdoor furniture and a fascination with gazebos. He's been known to assemble gazebos (for good friends) just for the satisfaction and has a tendency to hurt himself while testing them out in the garden.